SOMETIMES — like when your president’s busy dirtying up your air and water — you could use a bit of environmental love from your supposedly forward-thinking, true-blue, home state of Massachusetts. Unfortunately, Massachusetts just slapped us down. Beacon Hill legislators did it, actually, and they should be grateful they’re on that hill. Beacon Street below them could be underwater soon. Before that, the Legislature couldn’t even pass a ban on single-use plastic bags, even though more than 80 cities and towns already have. 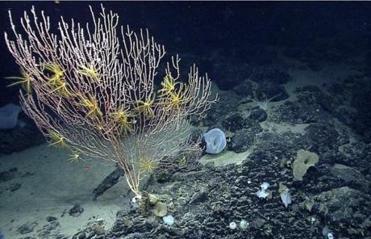 The administration is preparing to eliminate protections for the handful of “no take” ocean areas. The Senate did. The House nixed it. The House nixed a lot climate-wise, which raises the question: Who’s their constituency? The flat-earth society? The bitter AM talk radio set who like sticking it to Cambridge vegans while clinging to plastic bags? Former House Speaker Sal DiMasi had his problems, including taking money and going to jail. But here’s a safe bet: He’d have delivered the plastic bag ban. “Sadly, while all these communities have already passed bans, we just couldn’t get it over the finish line,” said state Representative William “Smitty” Pignatelli, the House chair of the committee on the environment. But the big issue isn’t aesthetics. Sewers and waterways are plastic dumping grounds. Fish, birds, sea turtles, and whales swallow plastic and die. Nearly 90 percent of ocean debris is plastic. We have a plastic- and debris-filled garbage patch twice the size of Texas in the Pacific and plastic garbage by the ton soiling beaches. And all that plastic, made from fossil fuels, exacerbates climate change. Remember last winter’s Nor’easters that flooded Boston’s waterfront, including the Blue Line at Aquarium, and sent a dumpster floating through the Seaport? Now we’re sweating through the fourth hottest year on record, followed by 2016, 2015, and 2017. We’ve got wildfires burning up California and Greece, and deadly droughts and heat in Japan, following floods that killed 150. Yet President Trump, who’s called climate change a hoax, is doing all he can to worsen pollution, including gutting EPA rules that limit car exhaust. He’s even trying to crush the Endangered Species Act, which the vast majority of Americans support. That law has prevented the extinction of almost every animal covered, including adorable sand kittens. Google them. You’ll be charmed, then horrified. And Trump could be in office for six more years. 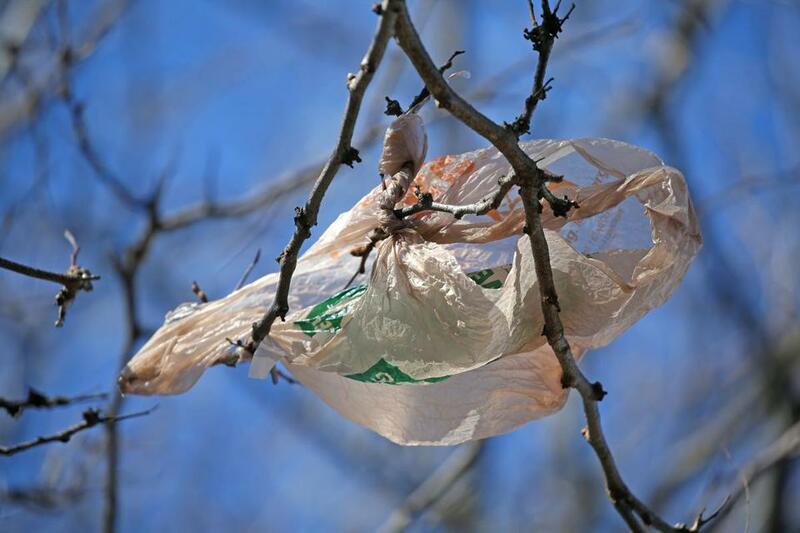 Meanwhile at least nine GOP-controlled legislatures have pleased fossil fuel lobbyists by preventing cities and towns from banning plastic bags on their own. They include Florida, where Miami floods routinely, and where the number of 90-plus-degree days has soared from 40 in 1970 to 100 last year. All this and much more is why you may have hoped for more urgency and less Neanderthalism out of Massachusetts. And inching ever closer, the Atlantic vs. our homes. So what did supposedly forward-thinking Massachusetts legislators do about these existential threats? Lead the way? Buck the ignorance? Stand up to D.C.? No, they folded. They choked. They whimpered, when what we needed was a roar.